It seems like every where I turned these days, I was able to find someone wearing a pair of GUNNARS. So, I decided to swing by the GUNNAR Optiks booth during CE Week to find out why I was finding more and more gamers donning these stylish glasses. What I learned was that GUNNAR is “the only patented computer eyewear recommended by doctors to protect and enhance your vision.”† GUNNARS are the ideal eyewear for folks that find themselves spending long periods in front of a PC monitor or TV screen and can help alleviate eye strain and fatigue. GUNNAR are also available in proprietary customized prescriptions for computer use. So, this means you can go to your eye doctor and get a customized GUNNAR for computer use or visit GUNNARS.com for more details. 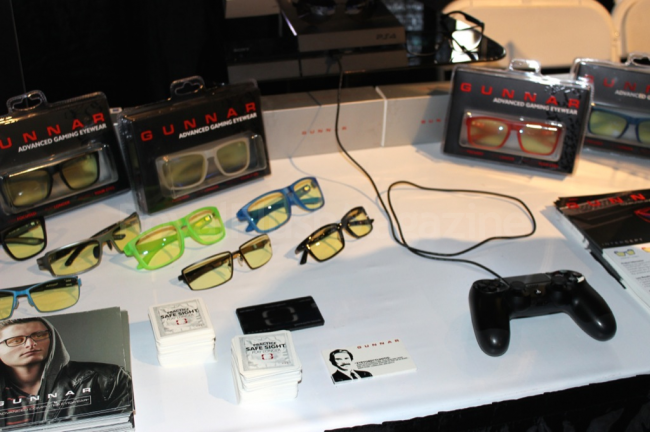 GUNNARS alleviate all common causes of digital eye strain and visual fatigue. The result – improved clarity, focus and performance. We are the digital generation and GUNNAR is here to protect your eyes. We are wired to a media-rich, networked world of infinite possibility. Visually connected to computers, tablets, phones and games – peering into an abyss of high-energy visible [HEV] blue light for hours can disrupt your entire system; your eyes, neck and back, circadian rhythms and overall health. Computer Vision Syndrome [CVS] has become a common problem for our digital generation. Nearly 70 percent of U.S. adults experience digital eye strain as a result of increasing use of digital devices. Our revolutionary lens designs limits air currents near the eyes, increasing humidity and preventing irritation. The patented optical design enhances focus and sharpens detail to ease eye strain. During CE Week, we got to a sneak peek at GUNNAR’s latest line: INTERCEPT. This apparently builds on the success of the INTERCEPT Onyx and now comes in five vibrant colors: cobalt, fire, kryptonite, ghost and ink. The retro frames combined with the bright colors help compliment your personal style. INTERCEPT feature a proprietary lens shape that protect your eyes from drying air currents, Amber lens tint which filters out harsh artificial light to reduce eye strain and protective lens coatings that include anti-reflective properties to reduce glare. While I only got to try them for a few seconds, they felt lightweight and oddly enough made it comfortable to watch the PS4 gameplay that was on display. If I may have peaked your interest in learning more, please check out http://www.gunnars.com/ for more details. 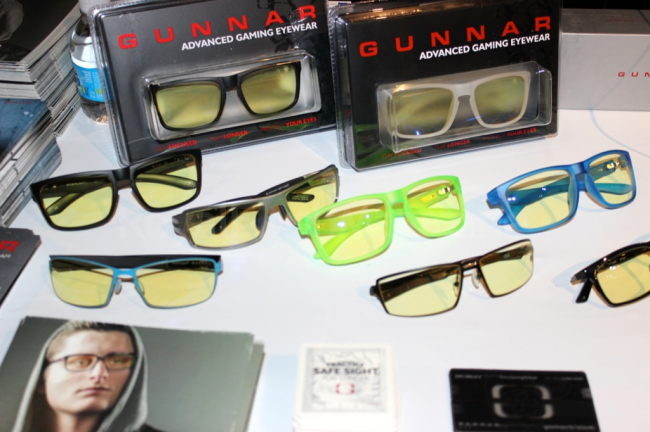 GUNNAR Computer and Gaming Eyewear styles are available at select retailers including Best Buy, GameStop, Fry’s Electronics, Amazon, Zappos and GUNNARS.com.